It’s always exciting to install new flooring. It can change the entire look of your home. However, you want to make sure that it is up to date with the latest styles and trends. 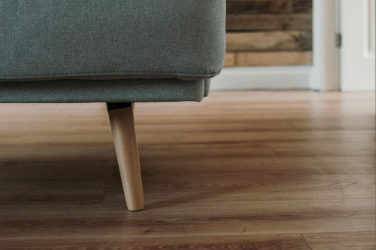 Here are some of the top hardwood flooring trends for 2019. Whereas a decade ago, most homeowners were choosing dark shades for their hardwood, nowadays light is more trendy. French white oak is all the rage and is perfect for chemical reactive staining looks which will provide a light airy feel when compared to traditional domestic oaks. Gray has been very popular over the past couple of years, but that trend is evolving a little bit. It seems that grey is transitioning to beige and lighter browns. In fact, beige flooring is gaining a head of steam giving a homey, yet modern look which will stand the test of time. Many homeowners are not just going with the beige and grey mix, but they are also augmenting it with a wire brushed texture. This texture brushes down soft spots in the wood grain leaving the hardened grains in place making it perfect for hiding dirt and scratches. Some things are classic, and will always find a way back to popularity. Natural finishes are coming back in a big way. This is a movement away from some of the trends we’ve mentioned in the past. There is a big portion of the population that want to avoid trends that may not be in style in the coming years. Since the year 2000, homeowners have been transitioning towards installing longer and wider planks for their flooring. This can help make a room feel larger and more open. While they are getting more popular, it is actually a traditional look from the last century that can give the home a timeless feel. No matter what trend you choose for your next flooring project, make it exciting and make it your own.